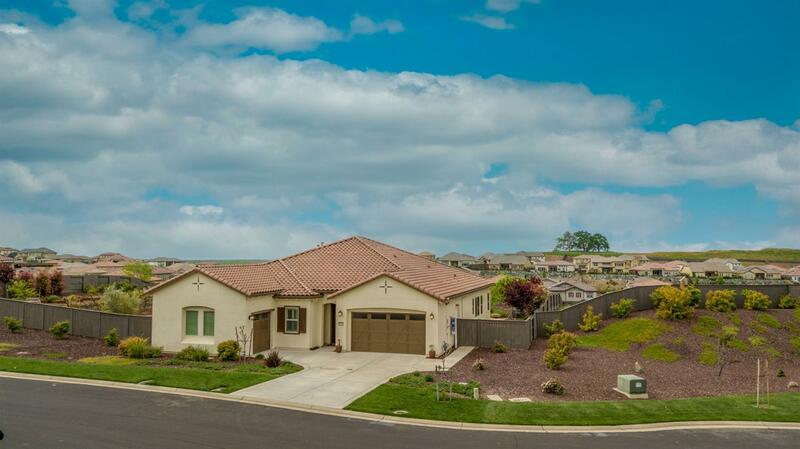 Stunning one-story Lennar home in the sought after Blackstone community on almost 3/4 acre lot with spectacular sunset views. This is an entertainer's delight w/ a gourmet kitchen featuring Stainless Steel appliances, 6 burner + griddle cooktop, farmhouse sink, double ovens, built-in fridge. Great open floorpan w/ large island and dining bar. Large walk-in pantry. Enjoy the beautiful evenings relaxing with friends or family in a park-like backyard around a fire pit or next to the outdoor fireplace. The centerpiece of this community is the fabulous clubhouse featuring 3 sparkling pools, (for family swimming, for laps and a children's wading pool), a spa, a large workout/exercise facility, an aerobics room, locker rooms, massage room, children's play room with an outdoor play yard, a large multi-purpose gathering area with adjoining kitchen and a cozy living room. Superb location with close access to the freeway and Town Center, top rated restaurants, movie theater, and shopping.